The University of Kentucky baseball team beats Tennessee on Sunday, May 14, 2017, at the Cliff. 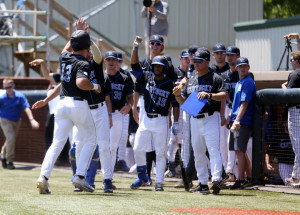 LEXINGTON, Ky. – Kentucky bounced back in perfect fashion from its first rough weekend in Southeastern Conference play, sweeping Tennessee on the strength of Sunday’s 7-2 victory in front of 3,085 fans at Cliff Hagan Stadium on a magnificent Mother’s Day afternoon. The three-game wipeout of the Volunteers sets the No. 8 Wildcats up for next week’s showdown against Florida with the SEC championship on the line. 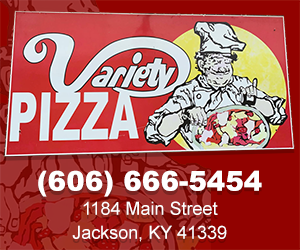 The Cats (36-16, 18-9 SEC) will need to win at least two of three games to claim a piece of the division – and possibly overall – crown in coach Nick Mingione’s first season at the helm of the program. Junior infielder Riley Mahan continued his white-hot weekend, ripping a two-run triple in a four-run first inning as part of a 3-for-5 day where he fell just a home run short of hitting for the cycle. For the weekend, Mahan went 9-of-13 (.692) with two doubles, a triple, three home runs, six runs scored and eight RBI. Mahan’s effort was bolstered by sophomore outfielder Tristan Pompey (3-for-4, solo home run), senior outfielder Zach Reks (3-for-5) and junior catcher Troy Squires (2-for-3, two RBI) as the Cats piled up 15 hits on the afternoon. Freshman lefty Zack Thompson picked up his second victory of the week, getting starter Justin Lewis out of a jam in the fourth and pitching 3.1 innings of scoreless baseball. Logan Salow pitched the final 2.1 innings to pick up his 10th save, the second-most in a single season in school history. Bot 1st – Tristan Pompey and Zach Reks both singled to centerfield. Pompey scored and Reks moved to second when Kole Cottam reached on a fielding error from the shortstop. Riley Mahan tripled down the right field line, which scored Cottam and Reks. Troy Squires stepped in and singled to left field, scoring Mahan. UK 4, UT 0. Top 4th – Jordan Rodgers singled through the left side of the infield. Andre Lipcius and Pete Derkay walked. Matt Waldren was hit by a pitch and Max Bartlett walked, scoring Rodgers and Lipcius. UK 4, UT 2. Bot 4th – Connor Heady reached on a fielder’s choice and Pompey walked. Reks singled to centerfield and scored Heady from second base. UK 5, UT 2. Bot 7th – Luke Becker walked and advanced to third when Mahan doubled down the right field line. Squires singled to centerfield, scoring Becker. UK 6, UT 2. Bot 8th – Pompey homered over the right field wall. UK 7, UT 2. Kentucky’s 36 wins on the season are the most since the 2014 team won 37 games. The 18 SEC wins for Kentucky are the second most in school history, tying the 2012 and 1988 clubs. UK is now 25-5 at Cliff Hagan Stadium, marking just the fifth time in UK history the Cats have won at least 25 games at home. o UK has won eight of its 10 SEC home series the past two seasons. Kentucky has gone 71 games without being shutout, the eighth-longest such streak in school history. Senior LHP Logan Salow pitched the final 2.1 IP, giving up two hits and striking out one to earn his 10th save of the season. o It was Salow’s 10th save, the second most in a single-season in UK history, trailing just the 12 Trevor Gott recorded in 2013. Junior IF Riley Mahan went 3-for-5 with a double, triple, run scored and two RBI. o It was Mahan’s 22nd multi-hit game of the season and 39th of his career. o For the weekend, Mahan was 9-for-13 (.692) with two doubles, a triple, three home runs, six runs scored and eight RBI. Junior 1B Evan White went 1-for-5. o White now has 215 career hits, tying him for 10th on UK’s all-time career hit list with Chad Green (1994-96). o White has a hit in 27 of his last 29 games. o He has reached base safely in 19 straight games. Sophomore OF Tristan Pompey went 3-for-4 with a solo home run and two runs scored. o Pompey now has hit safely in 37 of his past 41 games. o He has reached base safely in 23 straight games. o He has 21 multi-hit games this season and 27 on his career. o The home run was Pompey’s eighth of the season, all coming in SEC play. Senior OF Zach Reks went 3-for-5 with a run and an RBI. o Reks now has 21 multi-hit games this season and 32 for his career. o Reks has an eight-game hitting streak. o Reks has reached base safely in 22 consecutive games. Junior C Troy Squires went 2-for-3 with two RBI. o Squires now has multiple hits in five of his past six games. 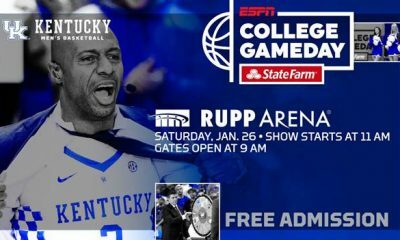 Kentucky hosts its final regular season home game when Northern Kentucky makes the short trip south for aTuesday night affair. First pitch is at 6:30 p.m. and fans can listen on the UK Sports Network via UKathletics.com and iHeart Radio, as well as on 630 AM WLAP, and watch on SECN+.